If you happened to see yesterday’s blog post, then you know exactly what to expect today – the second half of my IndieSew Blogger Team post, and my first pair of leggings! I’ve paired up the Sloan Leggings by Hey June with this super great grey/black striped performance knit (both from IndieSew!) and made leggings to rival my favorite RTW pairs. I’m super excited to share the bottom half of this outfit with you all today. Let’s start from the VERY beginning, with the pdf pattern. READ THE INSTRUCTIONS before you print out a multitude of pages you might not actually need! I didn’t, and ended up avoiding printing this for the longest time due to the fact that there were something like 100 pages. Once I finally dug into it, I realized that not only are the tiled sizes provided (one of my favorite pdf pattern features! ), but Adriana also went through the trouble of highlighting exactly which pages you want to print, based on which version (solid or colorblocked) and length (tall, regular, or petite) you are making. If you don’t read through beforehand, you’re going to end up essentially printing out 6 different patterns when you only need one! You’ve been warned!! 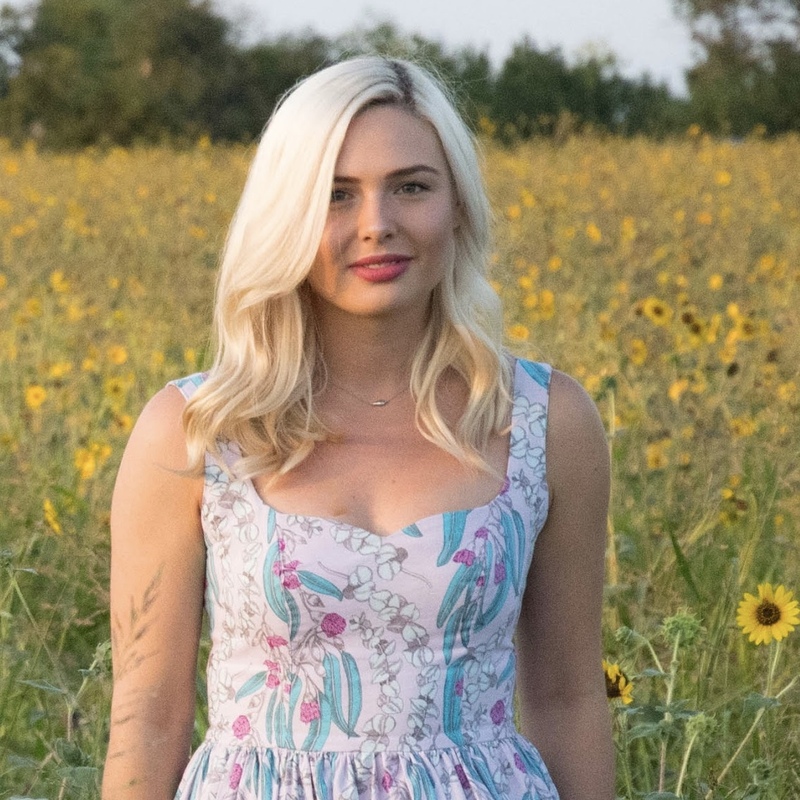 Once I identified which pages I’d need for the pair I wanted, I only ended up needing to print 16 pages – this, along with the mere 1.5 yards of fabric I needed to order, shocked me – how could these small amounts cover an entire half of my body? Magic, I guess, because it worked! As so many of us in the sewing community do, I creeped through the #SloanLeggings hashtag on Instagram while planning out my make. I cannot tell you how excited I was to see not one, but TWO lovely sewists who were able to wear their pre-pregnancy pair of Sloan Leggings into the 30+ weeks of their pregnancy! I am hoping to have the same luck – but even if I don’t get them quite that far, I’m so happy to have a pair of comfy leggings to wear now, and I know I’ll be even more thankful for them after baby gets here. Unrelated, I am now also super inspired to sew some crazier pairs of leggings and have been looking for the perfect, wild fabric ever since! I wanted a pair of leggings that I could work out in but also wear all the time (I am a BIG TIME member of the leggings as pants club). I have a couple of pairs of black leggings that I have purchased in the past that work great for either everyday wear or the gym, so when I came across this heathered stripe I thought it would be perfect – still basic enough to wear with a patterned or brightly colored top, but also different enough to mix it up a little bit! After quite a few super satisfying fabric purchases from IndieSew, I’ve really learned to trust Allie’s stock and knew that this performance knit would be perfect for leggings! 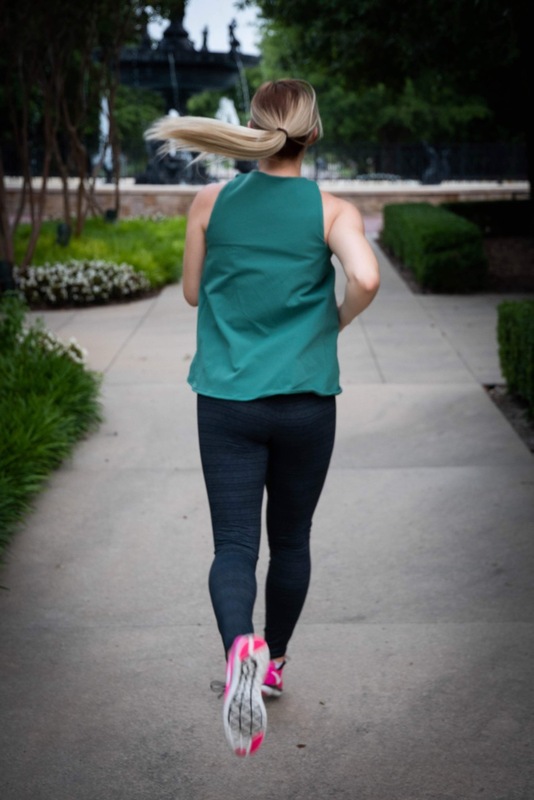 I wasn’t wrong – thinner than the emerald green performance knit used for my Minttu top, but just as stretchy and sturdy, this fabric was made to be leggings! Sewing these leggings up was so much simpler than I’d imagined it would be! The idea of anything with a crotch seam is still pretty daunting to me (I’ve only ever sewn up one pair of pants – my Marigold trousers! ), so I was ready to hunker down for a couple of days of sewing. In fact, once I had all of my pieces cut out, these probably came together in under three hours from first stitch to final hem. I constructed the entire pair of leggings on my serger, using the three thread narrow overlock stitch that I talked quite a bit about in my post on the Minttu top. The only exception was to reinforce the corners of the pocket-to-waistband seam on my sewing machine, as the corners were quite small and I didn’t want to lose any fabric to the blade of the serger! Speaking of pockets, this is one of my favorite features of this pattern! 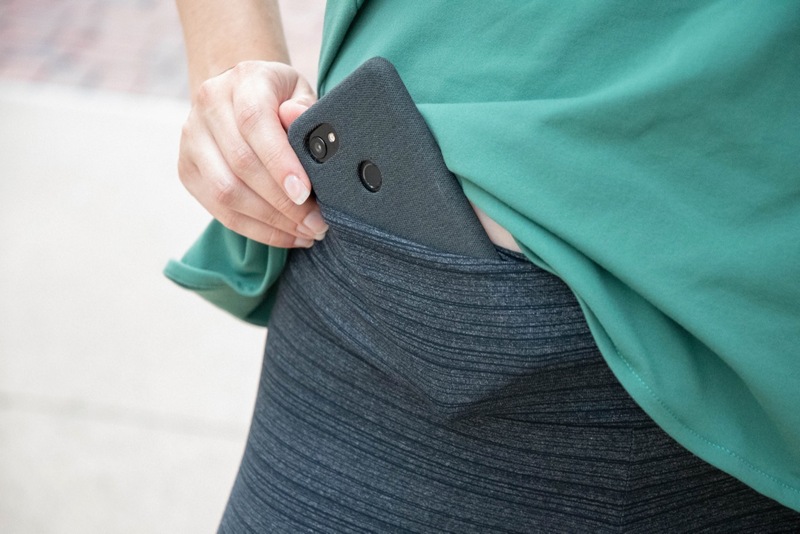 Though it isn’t quite large enough to carry my phone, I can tuck it in securely enough that I feel like it will stay in place while I am working out (this is a better alternative to just sticking it in my waistband, which is my go-to!). Next time around, I will make the pocket a bit wider from side to side to accommodate my large phone needs! Another feature I love on these leggings is the waist rise. I can move and shake easily in them, and I feel they offer plenty of coverage. I don’t have to worry about overexposure if I bend over to stretch, yet I don’t feel constricted by the waist trying to go high enough to meet the bottom of my sports bra! When it comes to choosing sizing for these leggings, the instructions recommend that the maker size down if you are between sizes, even if your measurements lend more to the larger size. Due to my ever-growing waistline, I fell right between a small and a medium. I followed the recommendations, and sized down to a small in the regular length of the solid (View A) leggings. This was definitely the right decision, and I’m actually considering even sizing down to an extra small on my next pair (despite baby bump), or at least grading to an extra small throughout the legs. I have plenty of room in the waist of these leggings right now, with even some room to grow. However, I feel like there is a bit too much fabric in the legs, particularly around the knees and ankles. Once I decide exactly how I plan to approach these couple of tweaks, I’ll be sewing up another pair in a lovely lavender grey knit I have waiting on my sewing table! Overall, I’m just really stinking excited that I made LEGGINGS! These are sure to be one of the most worn me-made garments in my wardrobe, and I’m looking forward to eventually reporting back on how they stand up over time with exercise and regular use. Next Post Kielo Wrap Dress with D&H Fabrics Co.